QuickBooks is the leading name in small business accounting. It evolved from the Quicken personal financial management software from Intuit, begun by Scott Cook and Tom Proulx in 1983. The web-based version, QuickBooks Online, was introduced in 2004. Hundreds of thousands of businesses now use the software. Sign up through the link below to receive your free 30-day trial of QuickBooks cloud accounting for small businesses. You can try out Quickbooks risk-free with no credit card details required and the ability to cancel your account easily at any time. Simply choose one of the three plans that best suits your needs! The award-winning software has been recognized with many awards. These include the 2015 CPA Practice Adviser Reader’s Choice Award and the 2015 Awesome Applications Award. Every year since 2004, Intuit has been named as one of the “100 Best Companies to Work For” by Fortune Magazine. The company earned $4.15 billion in revenue in 2012. Today there are numerous QuickBooks products available. QuickBooks Pro, Premier, and Enterprise editions are sold, and there is a version for self-employed individuals. Also, payments, payroll, and point of sale products are in Intuit’s catalog. Specific software for different business types is available as well, including for independent contractors, retail businesses, e-commerce companies, and non-profit organizations. 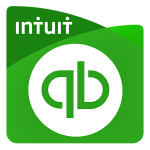 A QuickBooks cloud accounting for small business coupon code is now available. It covers a 30-day trial of the product so you can learn all the benefits of this accounting tool. There’s no need to enter credit card information. During the trial period, you can cancel at any time with no risk. Just follow our link and pick one of Intuit’s three plans based on your business needs and requirements. The link will direct you to the company’s sign up process. You will get full functionality of the software so during the trial period you can see exactly how the industry-leading tools will benefit your business. QuickBooks recently revamped its entire interface, and the scores have been high all around. It is easy to navigate while standard accounting principles have been integrated into its processes. You can take advantage of dual entry bookkeeping and maintain solid audit trails. Organizing your finances is much less time consuming than ever before. With the online version, even those not experienced in accounting can understand its basic principles. Setting up the program is easy too. Just follow the on-screen instructions and customize the settings based on your type of business. There are how-to videos as well. The interface is organized quite well with basic features easily accessible while more advanced, complex functions are out of the way yet easy to find. Sidebar menus make the configuration user-friendly as well. While there are tips and guidance, customer support has improved. Long wait times and representatives who seem to know little about the software were major issues in the past. Intuit, however, has been making strides to fix this. Our calls were answered right away, and the technicians were competent and spoke fluent English. Intuit is currently offering phone support, online forms to report issues, and support via social media accounts. QuickBooks Online features the introductory Simple Start plan. You can track income and expenses, create estimates and invoices, and sync bank accounts and apps. With Essentials, you can do these, manage/pay bills, and see sales and profit reports. The Plus version adds inventory tracking and the ability to prepare and print 1099 forms. Our coupon code lets you save on all three of these plans. A dashboard displays invoices, cash flow, tasks, and account balances. There’s a “Private Mode” to hide sensitive data. The interface is simple yet colorful overall. You can view estimates and create, manage, and send quotes. Other functions include viewing invoices on the overview page, bank reconciliation, and use of over 20 reports in QuickBooks Online Simple Start. There are over 65 in the Plus version. Contacts, with a view of client receivables and payables, sales tax, and other information is available as well. In addition to the phone, online form, and social media support, you can make use of an in-program help function. Whether successfully or not, you can search for answers to your problem. Articles and community posts come up in the results. While there’s no knowledgebase or formal help center, the community forums serve as resources for help. You can also check the videos, webinars, and blog on Intuit’s website. Your QuickBooks Online account and financial details are protected with 128-bit SSL encryption. Also, servers are hosted in Tier 4 data centers, equipped with physical and electronic security systems. The company automatically performs data backups every few minutes. External security audits and routine penetration testing reinforce the security of its products. There are around 240 add-ons available with QuickBooks Online. Third-party programs that integrate easily with the software include payroll tools and online and electronic payments of invoices. You can also integrate customer relationship management software with your QuickBooks. Project management tools, CRM/point of sale/inventory management software, and a CRM/scheduling/routing/workflow management system can be integrated as well. If you are into paperless expense reporting, you can link up with the Shoeboxed receipt management and data entry service. QuickBooks Online can be accessed via iPhone, iPad, or an Android device. This enables you to access and work with your financial data no matter where you are. You can link to apps such as PayPal and Square. Even apps like American Express can be synced. QuickBooks lets you import data directly from such apps. Up to five users can be connected, while you can grant access and set permission levels for each person. QuickBooks Online works with Windows 7 and 8, with Mac OS X 10.8, 10.9, and 10.10, as well as with Chromebooks. Running on Chrome, Firefox, Internet Explorer, and Safari, it’s compatible with many common mobile browsers. A mobile app is also available for leading device brands. Once you create an online account, you can prepare your company file or export data from QuickBooks Pro to a copy of your file in QuickBooks Online. You can, therefore, make the most out of our coupon code and get started with Intuit’s full web-based accounting system.